Modern Languages will welcome 40 Year 12 students from 6 schools across the south east to Avenue Campus next Wednesday 18th January for a Year 12 Study Day. This will be the first of two events in the year for Year 12 students to think about studying languages at university. There will be sessions on cultural topics, grammar and speaking in French, German or Spanish, plus the chance to do an ab initio session in another language (such as Chinese or Portuguese). There will also be a student panel session, where students will have the opportunity to ask our own students about studying languages at university, and find out first-hand about the year abroad and other aspects of student life. Visiting students may be interested to check out our resource Get Ready for Languages, which aims to guide you to useful information about your life as a Modern Languages student at Southampton. You can read about staff in the Modern Languages department, discover what sorts of things Modern Languages students, past and present, are getting up to, and explore some of the modules you might decide to do. All this and more! To keep updated on Modern Languages events and languages-related news, you can also follow us on the Languages at Southampton blog, and on Twitter @ModernLangs. We welcome all students to Avenue Campus and hope you enjoy your time with us! 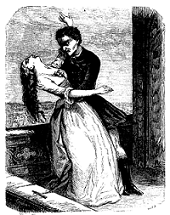 Continue reading"Modern Languages to welcome Year 12 students for Study Day"
Modern Languages at the University of Southampton is delighted to be hosting Professor Anne Green from King’s College London on Tuesday 15th November 2016, who will be leading a seminar entitled “Madame Bovary and the sinister Sandman”, from 4:00-5:30 in Room 1143, Building 65, Avenue Campus. All welcome to join in for the seminar and discussion. Taking a fresh look at Flaubert’s manuscript drafts for Madame Bovary, Anne Green discovers that they contain repeated allusions to E.T.A. Hoffmann’s short story, The Sandman. Although Flaubert removed many of these references before the final version, enough remain in the published version to disturb conventional readings of Madame Bovary. The Sandman’s traces reveal a sinister undercurrent lying beneath the novel’s surface. Why was the uncanny tale so significant for Flaubert? Why did he work so hard to remove its traces from his novel? And why did displaced elements of Hoffmann’s story continue to appear in Flaubert’s writing long after Madame Bovary? Continue reading"French seminar: Madame Bovary and the sinister Sandman"
Actors from the University of Southampton French Theatre Club will be presenting texts from various authors, poets and playwrights including Olympe de Gouges, La Fontaine, Manouchian and Laclos at 6-7pm today, Monday 31st May, in Lecture Theatre C, Avenue Campus. Continue reading"French Theatre Club to perform famous texts"
Between 8 and 15 June 2016, Santander Universities are sponsoring free intensive language courses for students at total beginner level in four languages: French, Spanish, German and Mandarin. Places are limited, so act quickly to find out more and book your place. Continue reading"Grab an opportunity to do a free intensive language course"
French, German, Iberian Languages and Linguistics all feature in the top 10 for their section of the Complete University Guide, consolidating the University of Southampton’s overall position of 17th in the recently published table. French is attributed particular success with a rise this year by 8 places in the table to 5th position overall. 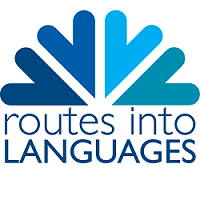 Prospective students for these disciplines in Modern Languages may wish to look at our online resource, Get Ready for Languages, to explore some of the reasons for our success! Continue reading"Modern Languages disciplines in top 10 of latest Complete University Guide"
French and German language learners may be interested in practising their listening skills at Eddie Izzard’s upcoming performance of his tour show Force Majeure at the Nuffield Theatre on Wednesday 25th May. He will perform 3 times in 3 languages (English, French and German) over 3 one hour shows. 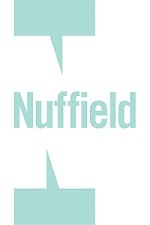 Visit the Nuffield Theatre website for further details and to book your place! Continue reading"Practise your language skills at Nuffield Theatre Eddie Izzard performance"
The BBC has reported on changes proposed to French spelling, approved by the Académie Française, which include the omission of the circumflex accent on some vowels, and of hyphens in some words. The news prompted a strong reaction on social media, following a report by the French TF1 website. You can read more and listen to a news report about the proposals on the BBC Website. Continue reading"Proposals for French spelling changes controversial"